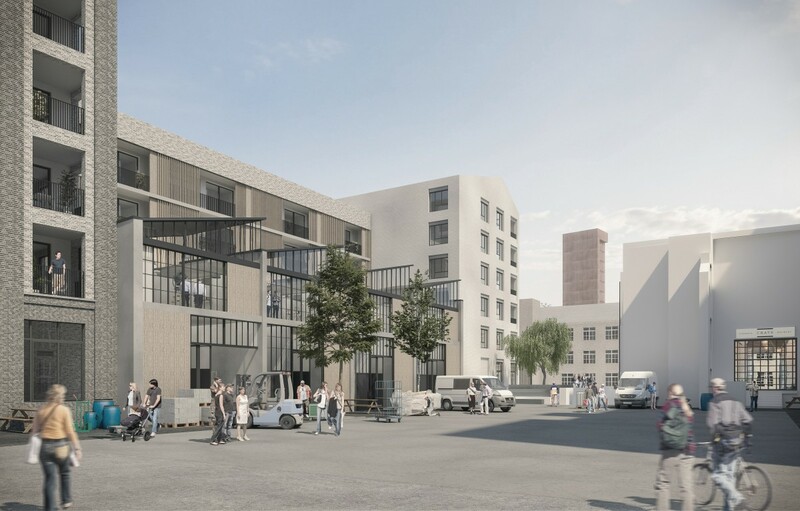 Queens Yard, situated behind the popular Crate Brewery, is central to the LLDCs masterplan for Hackney Wick acting as a key catalyst to revitalise this area of East London. 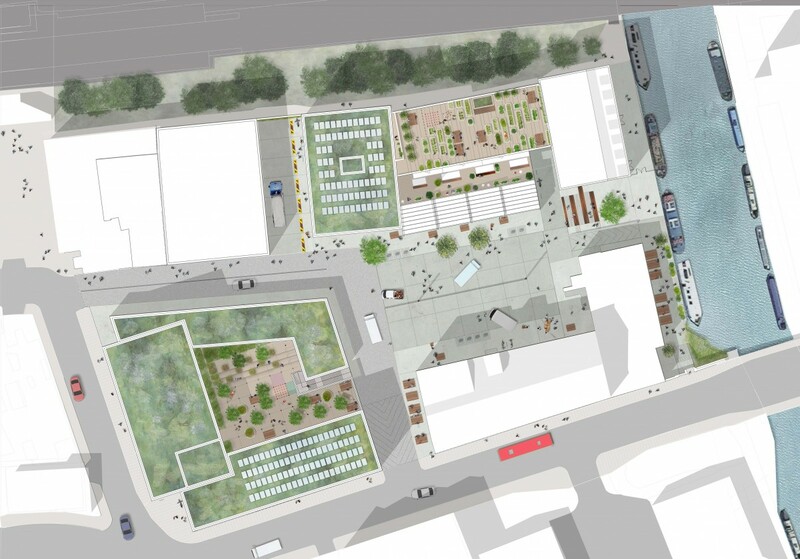 Working on behalf of Hatton Garden Properties Ltd the 0.71 Ha masterplan seeks to improve permeability and legibility, providing a welcoming connection to the River Lea canal and a seamless link into the surrounding area. The mixed use hybrid planning application includes; a new theatre, 116 high quality residential units and 2,562sqm (GIA) of flexible commercial floor space. 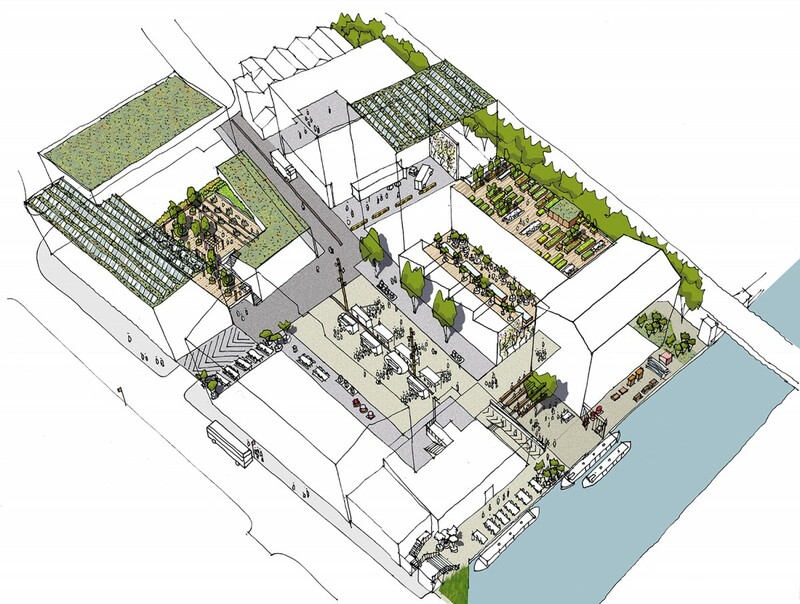 43% of the site is reserved for landscape and public realm, which takes inspiration from the distinct character of Hackney Wick, while celebrating the unique history of the site. 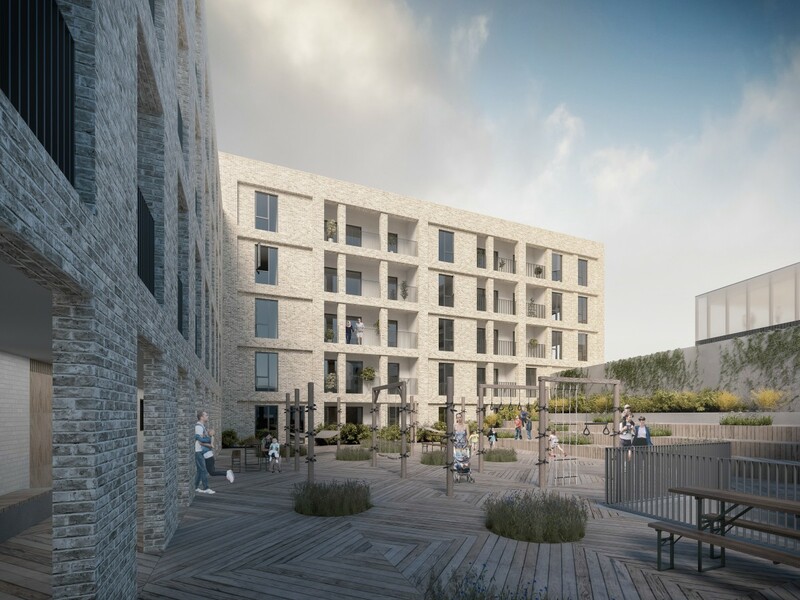 The landscape proposals include high quality private and communal amenity space for residents to enjoy, generous child play provision while retaining and enhancing the working yard at the core of the site. 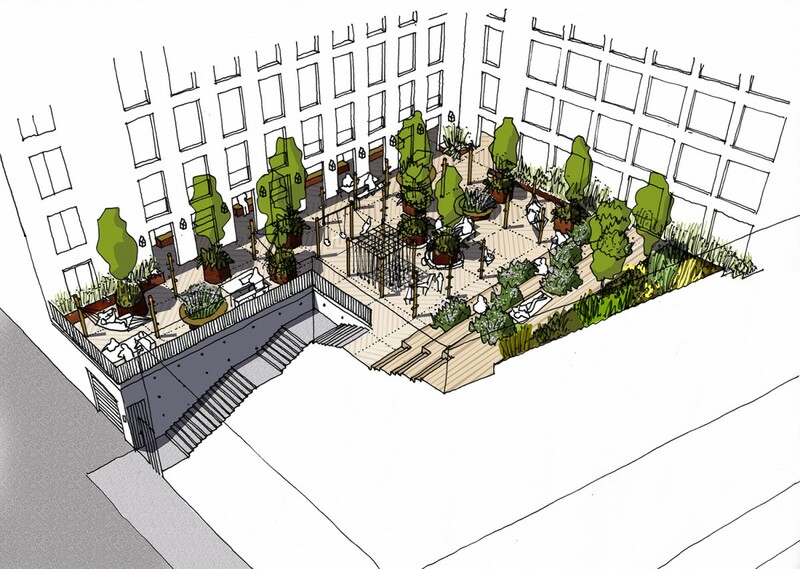 Ecological enhancement is a strong drive in the design with the inclusion of a wildlife refuge, a floating wetland and approximately 600sqm of biodiverse roof.